Resin or otherwise, I just need a cab. I'm looking for the box style body. Should have said so originally. That is exactly what I'm trying to achieve, but I won't do 32nd scale. I'll take one of each. Thanks TonyO. Okay, here's the big question. Will the Lindberg L-700 kit provide the frame and running gear for the COE with sleeper? this is crucial, because my local Ollies just got three different versions of the truck. I know very little about trucks, however, the L-700 is a very short wheelbase tractor and I doubt it will work with the COE unless you plan on doing some major modification to the chassis. The Lindberg L700 is a medium duty truck with a gas engine. 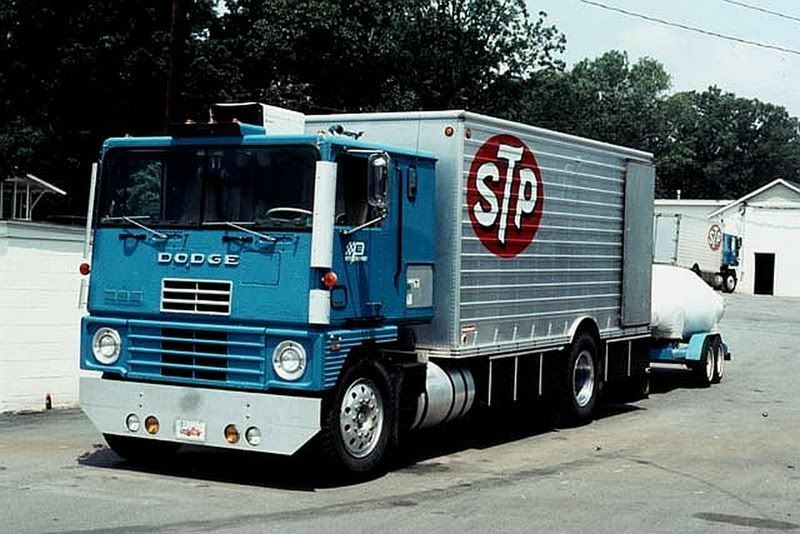 The Cabover your seeking is an L1000 model, a true class 8 and would have only a diesel engine, in that era generally either a cummins or a detroit. Suggest you use the chassis from the re-released Peterbilt 352 cabover kit which has a detroit or the White Frieghtliner cab over which has a cummins. Should be easy for you, next time you chat with The King just ask, he's usually pretty good with stuff like that. I don't get to talk to him or Kyle much anymore. In fact to be honest, I haven't spoken to either of them since Adam passed. I mean, what do you say, right? Anyway I'll likely ask Sharon, she's usually in the museum and she'll patch me through to one of the guys in the shop. Besides, I learned a long time ago, not to bother Richard with stuff like this during the season. If only to be polite.